Millions of others also suffer from hunger during different periods of the year, between harvests for example. With such extreme hunger and poverty parents may withdraw their children from school, unless there is the incentive of food. 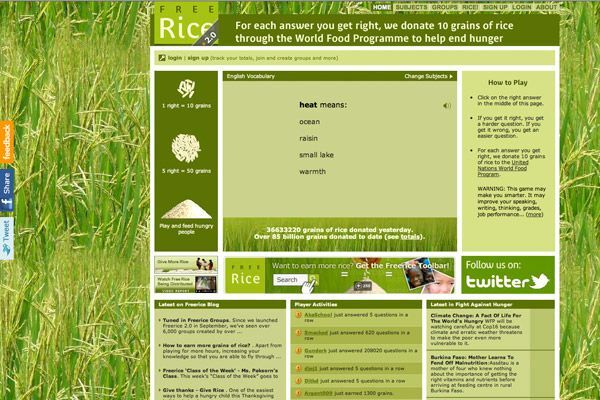 By playing FreeRice you are helping children get food and education. With the SAT tests coming up in June, millions of high school students in the U.S. could actually prepare for this test and help Niger by using the FreeRice SAT prep section.